Our primary mission is to provide patients with the very best dentistry available allowing them to improve their smile and overall health. Inlays and Onlays are made of porcelain material and are used when a filling will not support the tooth structure after the decay is removed. These teeth do not need full coverage crowns. Dental crowns surround the entire tooth and can be made of porcelain, metal, or a combination of both. Some of the most common reasons that a tooth would need a crown are if the tooth has a large filling that is failing, if there are cracks, if it has broken, or has significant wear that exposes the softer dentin inside the tooth. In these cases there is not enough healthy tooth structure left to support a filling long-term. Dental crowns reinforce teeth that have had Root Canals, and cover and protect the rest of the tooth structure such as underlying dentin. Bridges are beneficial when a tooth is missing. 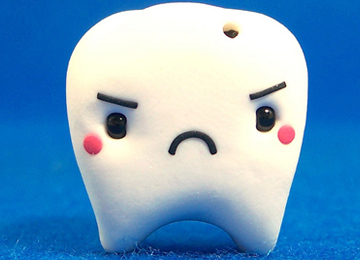 Teeth are commonly lost to decay, periodontal disease, missing at birth, and trauma. A bridge uses the teeth on either sides of the missing tooth to support a replacement tooth, called a Pontic. The bridge is bonded into place just like a crown. This prevents the teeth from shifting and further dental work that shifting would cause. Partials are removable appliances that replace one or more missing teeth. They are supported in the mouth by teeth and supporting structures. Implants are titanium posts placed in the jaw bone just like natural tooth roots that we can then restore with crowns, bridges, or to hold loose fitting dentures or partials in place. To repair small cavities, cracks or areas of decay, we often use a resin or composite. 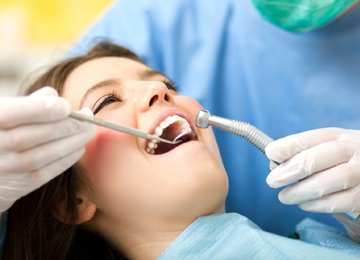 This procedure is also used to replace other fillings that are leaking or have cracked. Our fillings blend in naturally with the tooth structure so you may not even see them at all! This procedure is needed due to decay, trauma or death of the tooth. The procedure removes the diseased nerve, blood and lymphoidal tissue within the tooth and replacing it with restorative material. These teeth also need Crowns or veneers after treatment to preserve integrity of the remaining tooth structure. Veneers are thin pieces of porcelain that are bonded to the fronts of the teeth. They are normally used to make your smile straight and white creating a smile transformation. Sometimes even baby teeth need crowns. We place Stainless Steel crowns on decayed baby teeth that cannot be restored by fillings. Using the latest technology we can provide patients with same day crowns, onlays and inlays so that you dont have to wait on the lab! This is the process of bleaching the teeth using custom made trays and bleaching gel.